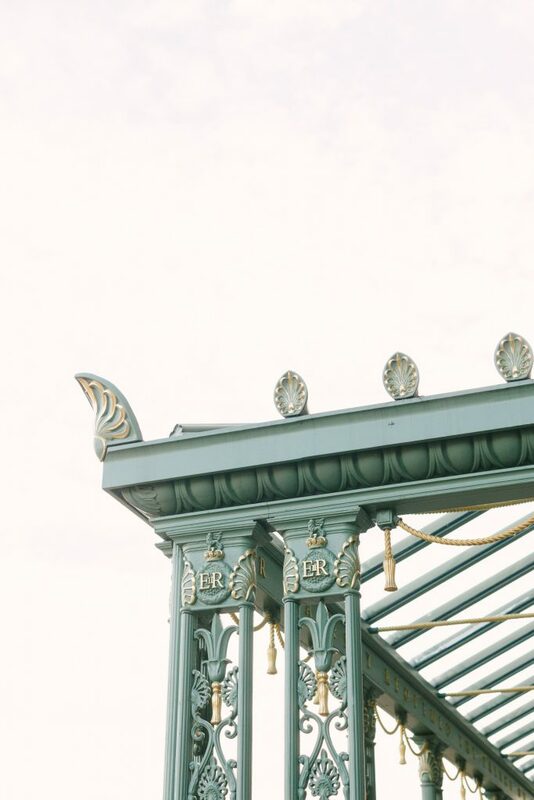 Good morning lovelies, Louise here! 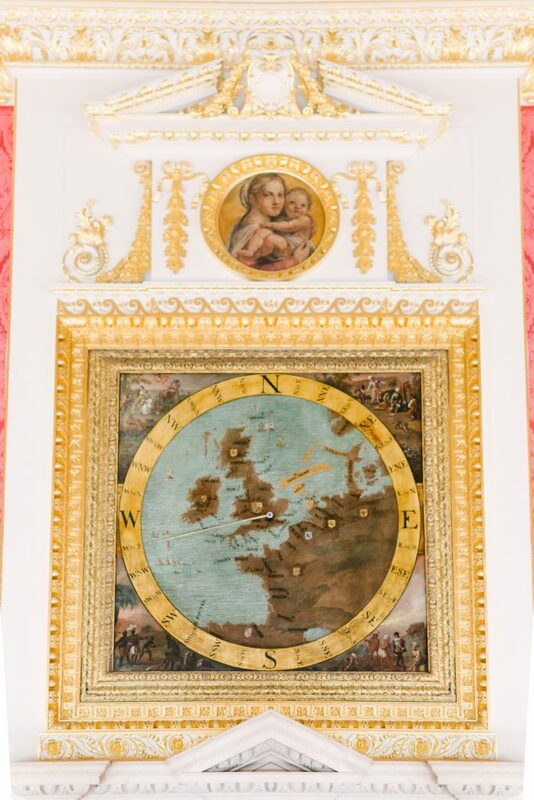 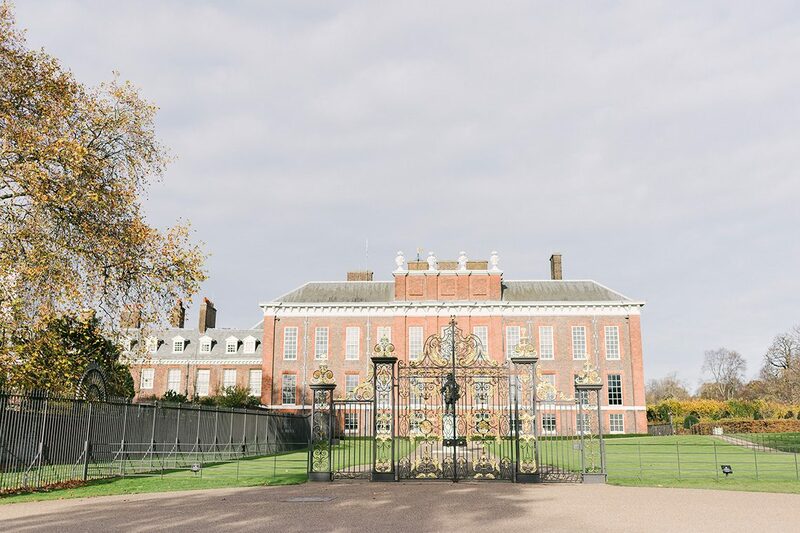 I’m so thrilled to share some exciting news about a gorgeous new partnership we’ve been working on that’s going to bring you some exclusive news and inspiration from Historic Royal Palaces. 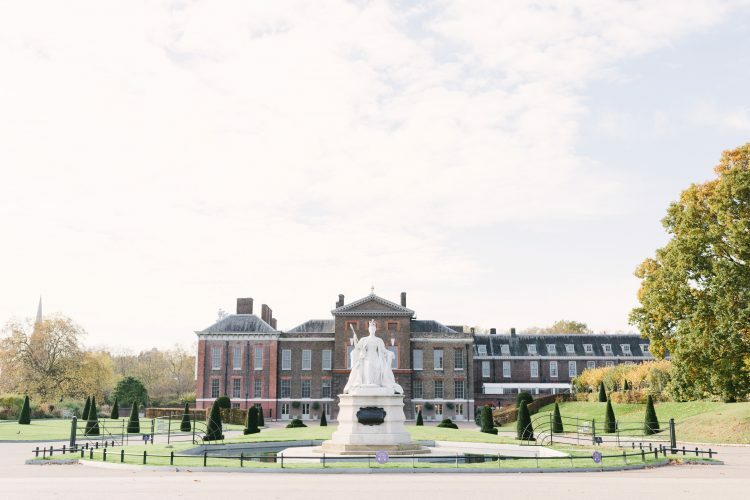 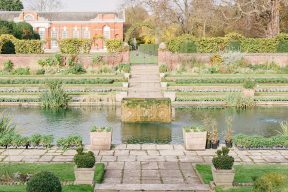 Custodians of some of our favourite, romantic wedding venues in the UK including Kensington Palace and Hampton Court Palace, we’re delighted to be able to share the stories of these iconic venues and inspire your own modern fairytale. 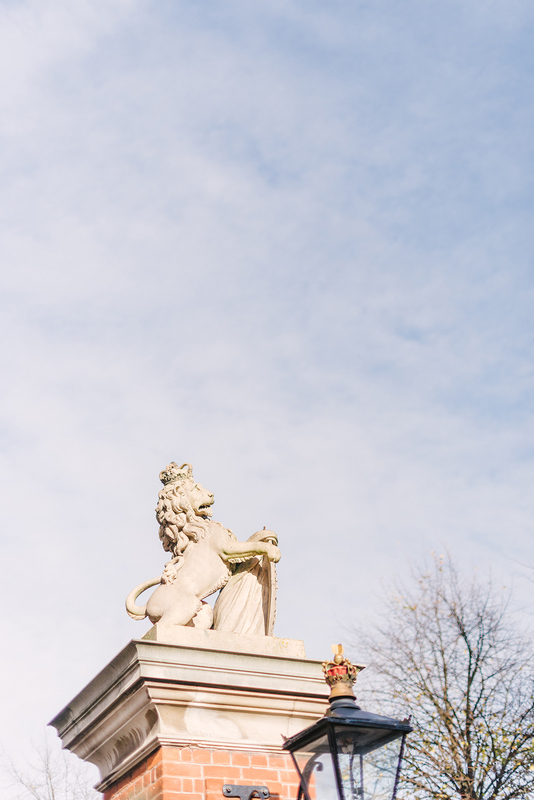 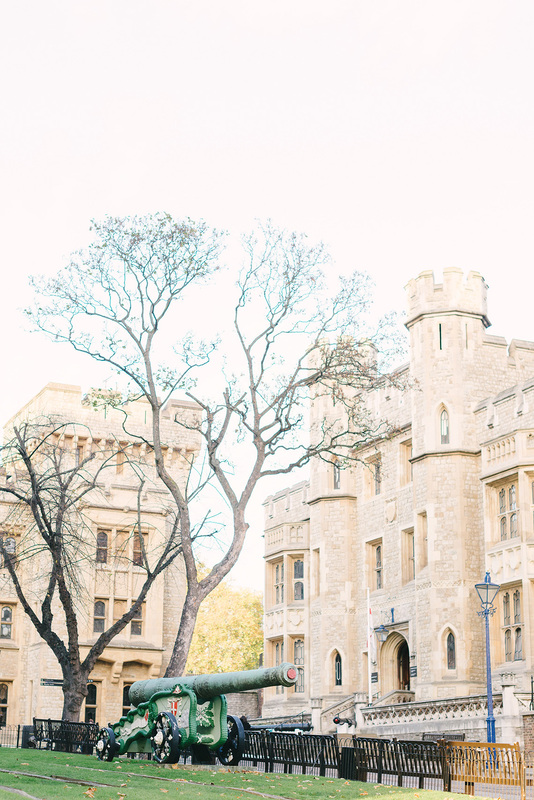 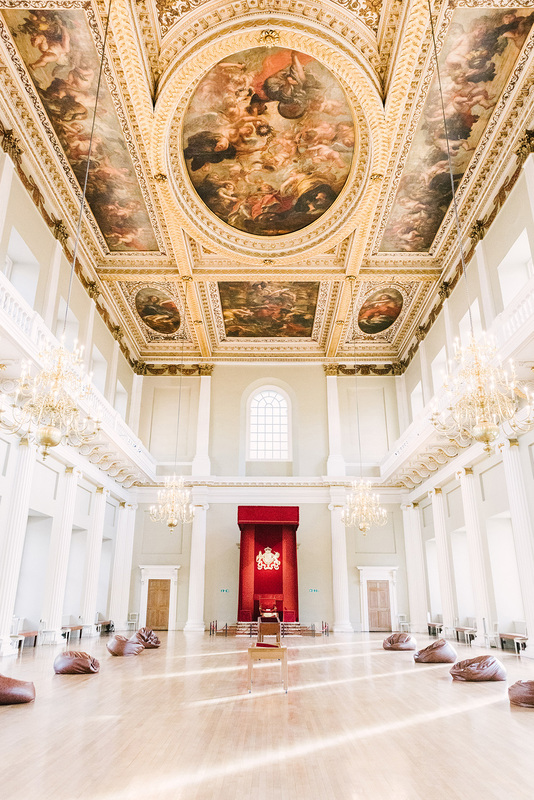 Last week, I headed into London to meet the team behind the stunning weddings at three of their city palaces; Kensington Palace, Banqueting House and the Tower of London. I was treated to behind-the-scenes tours, hearing the love stories that make each Palace so romantic, unique and the perfect place to start your own story. 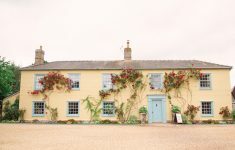 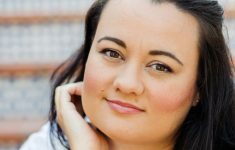 I was joined by fine art photographer Hannah Duffy to capture the gorgeous imagery that illustrates this post. Our day began at Kensington Palace. 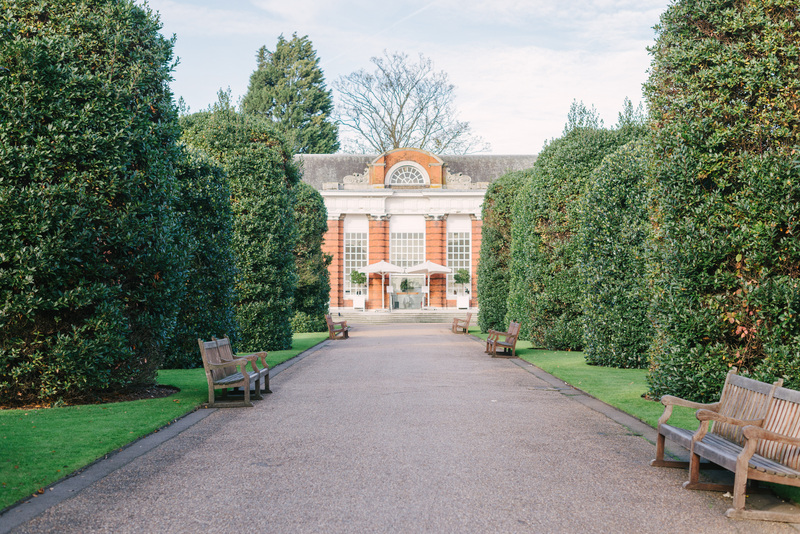 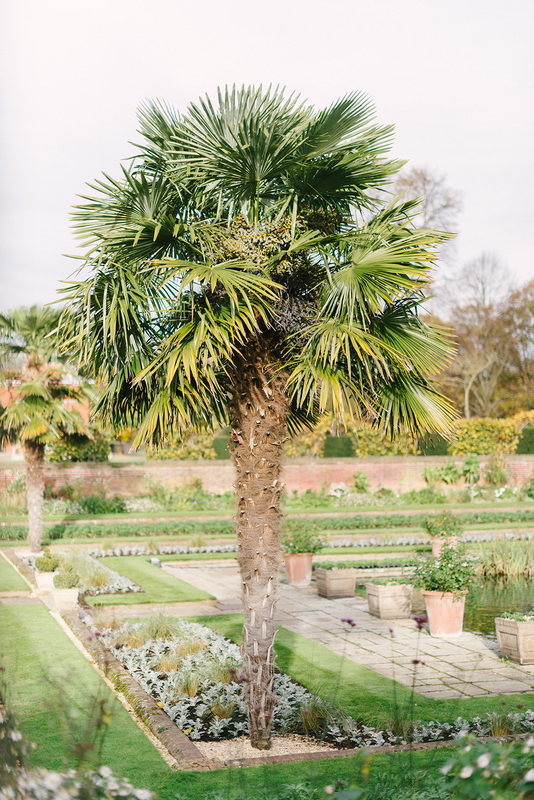 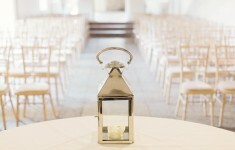 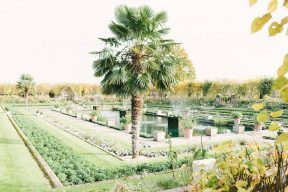 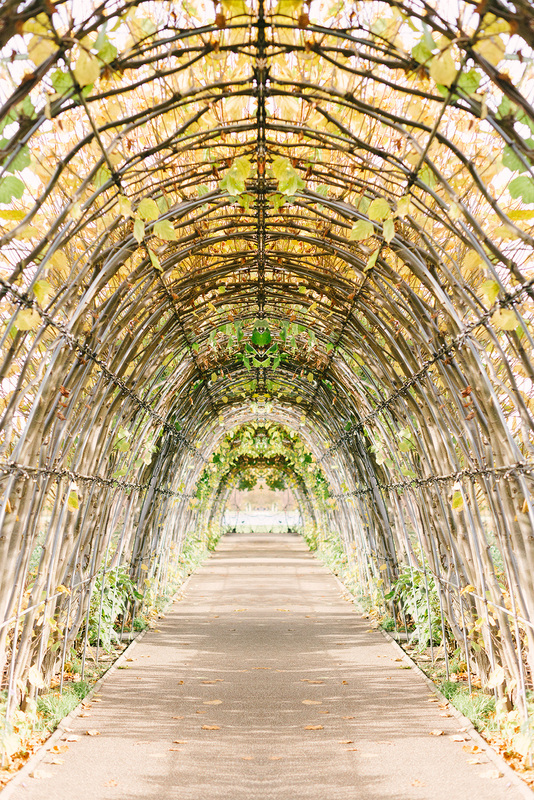 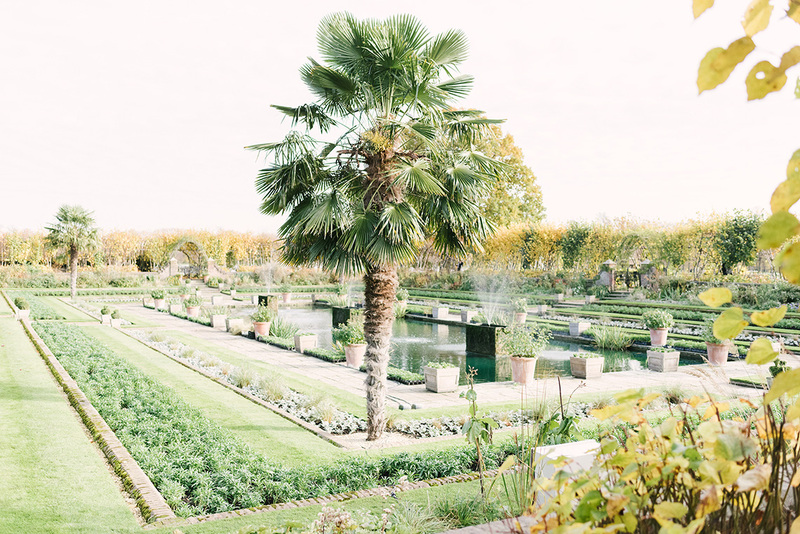 This gorgeous venue is set in beautifully manicured gardens leading into Hyde Park. 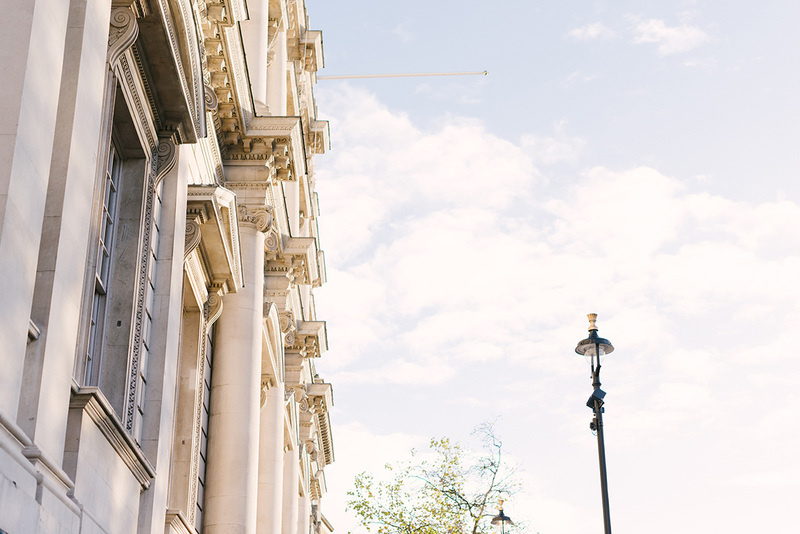 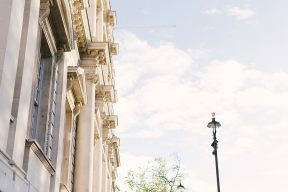 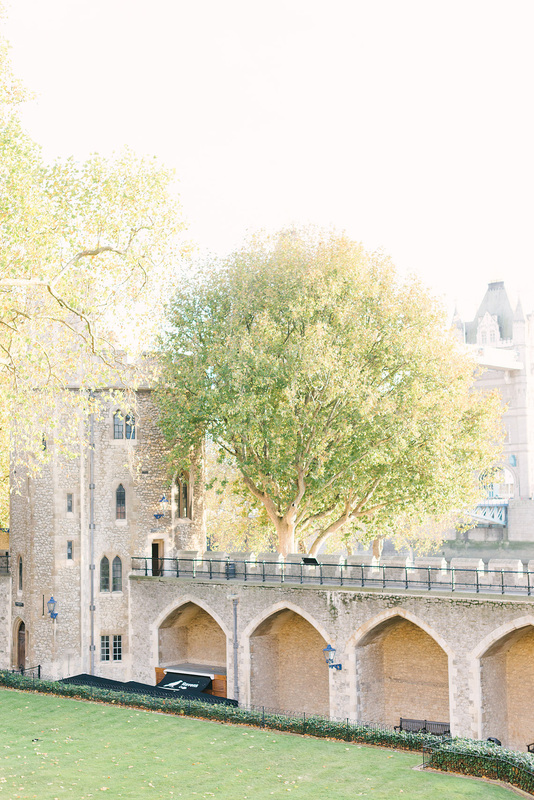 With former residents including Queen Victoria and Princess Diana, this is surely the venue of choice for stylish, city brides wanting to add timeless romance to their day. 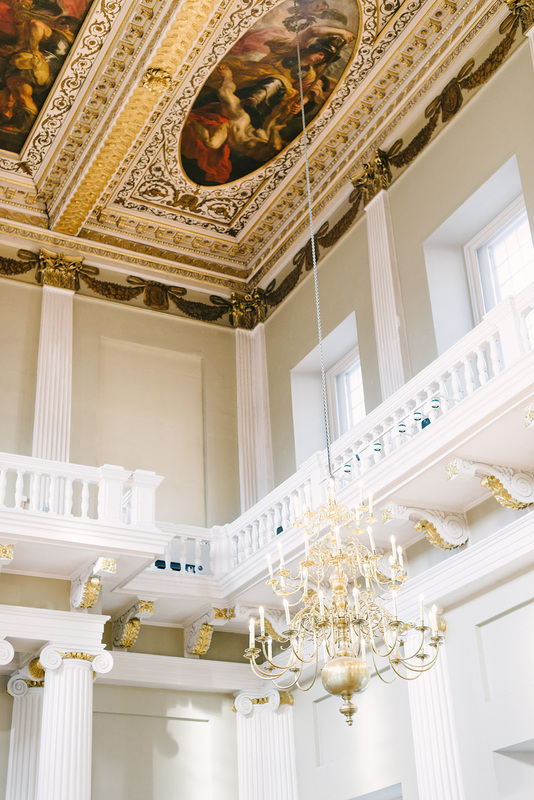 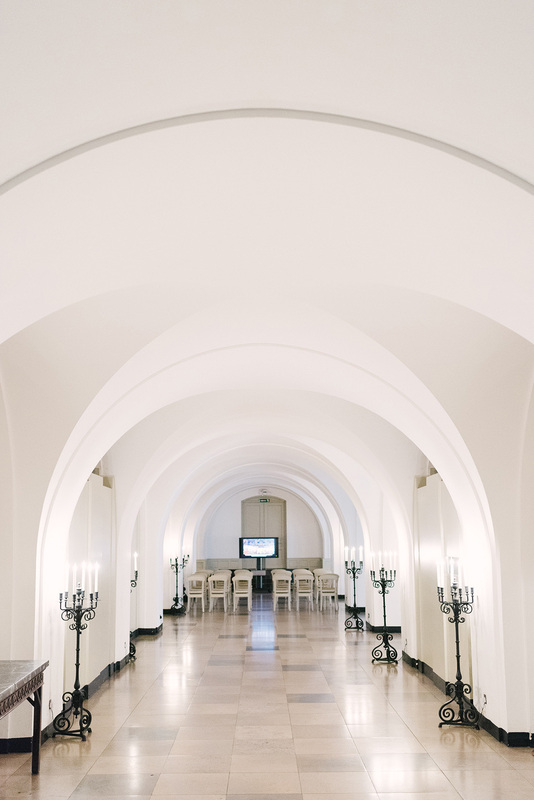 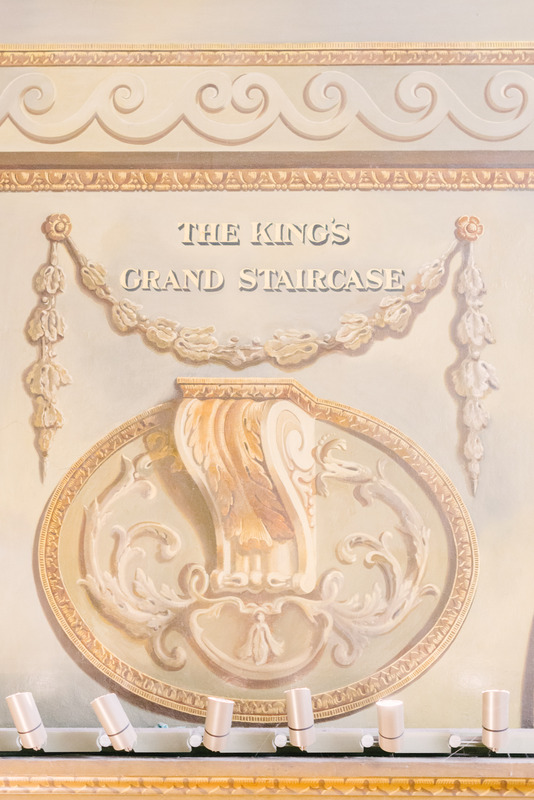 For weddings of up to 100, the grand State Apartments are sure to impress your guests. 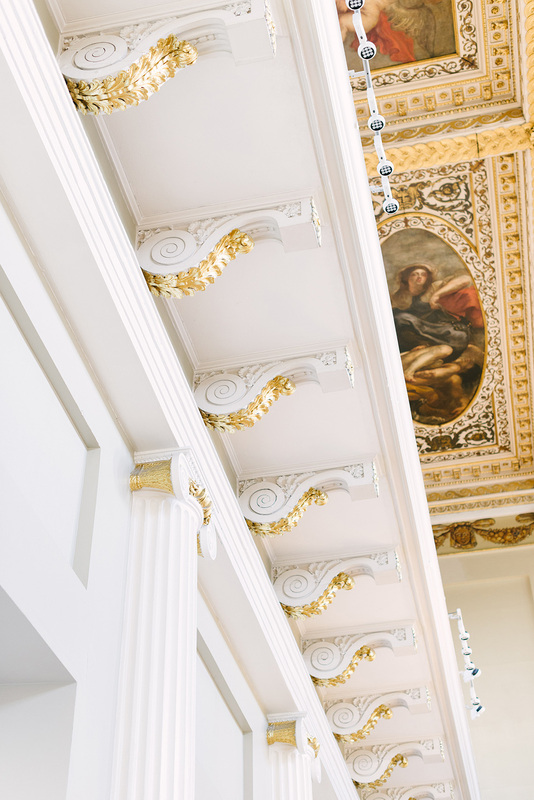 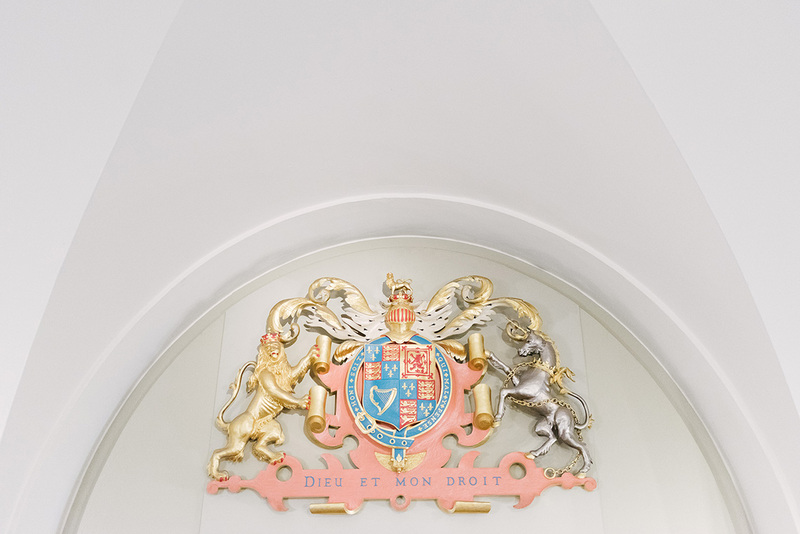 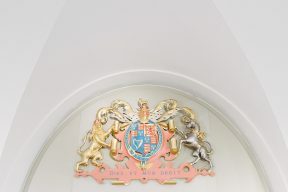 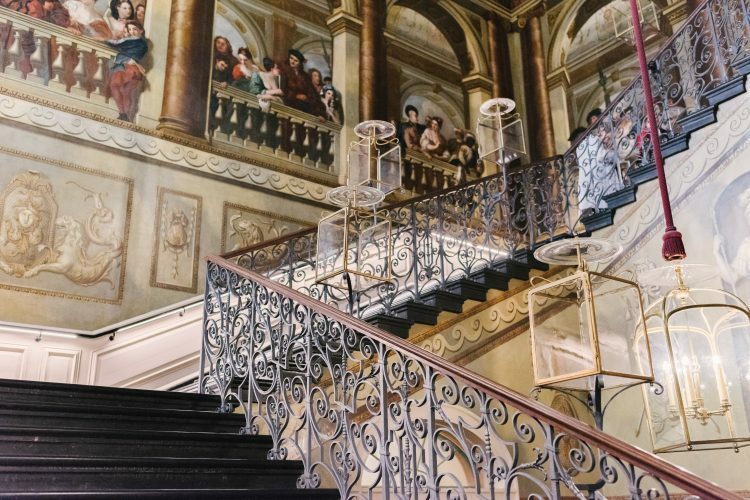 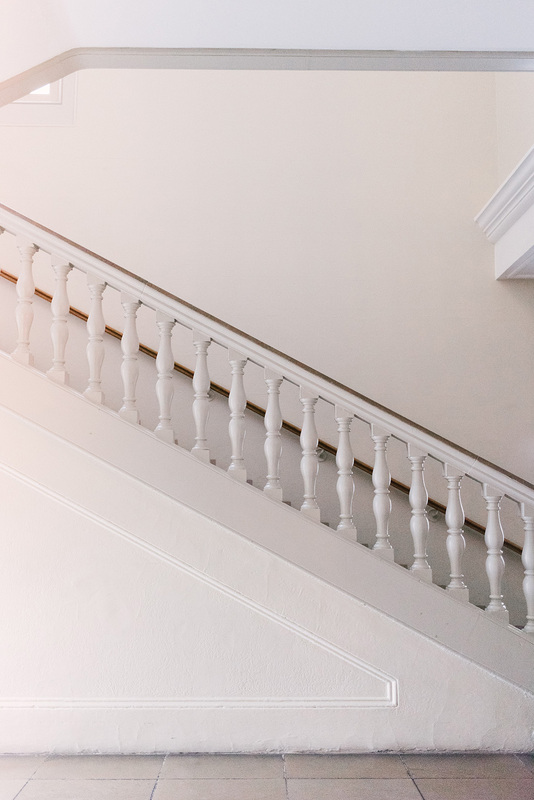 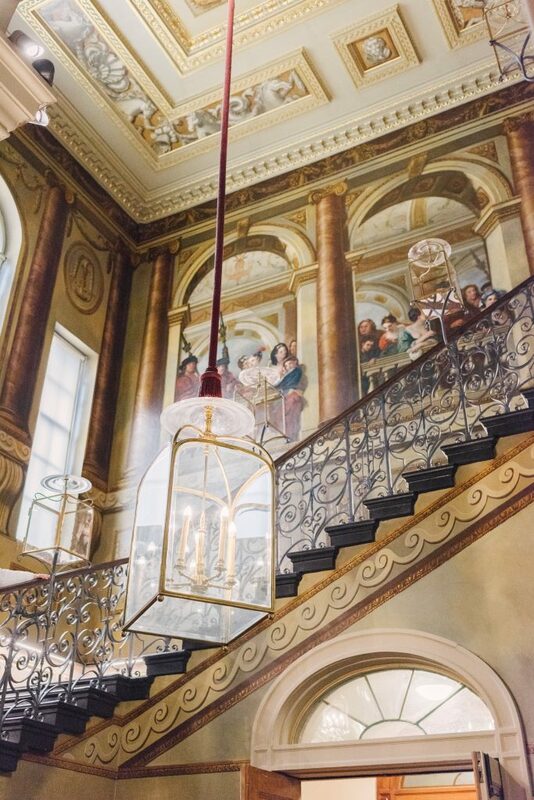 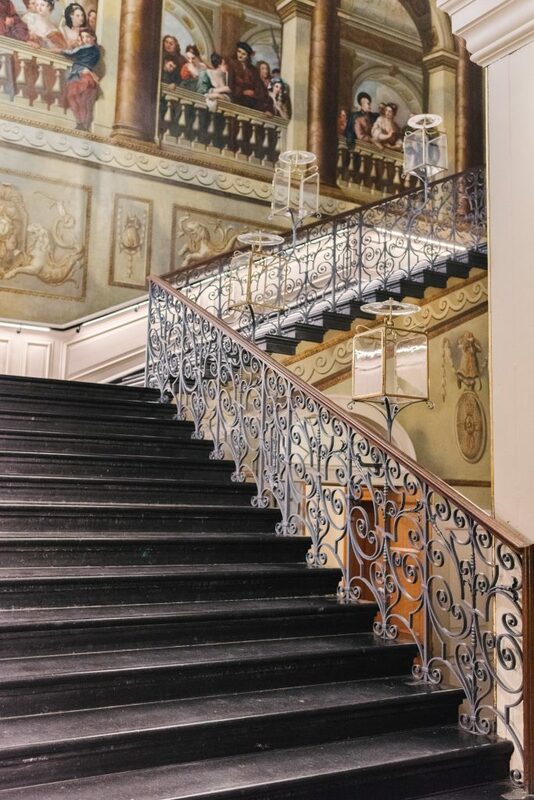 Journeying up the Stone Staircase to the King’s Drawing Room and King’s Gallery, and not to mention the incredible gilded dome-topped Cupola Room, there is plenty of space to wed, dine and party! 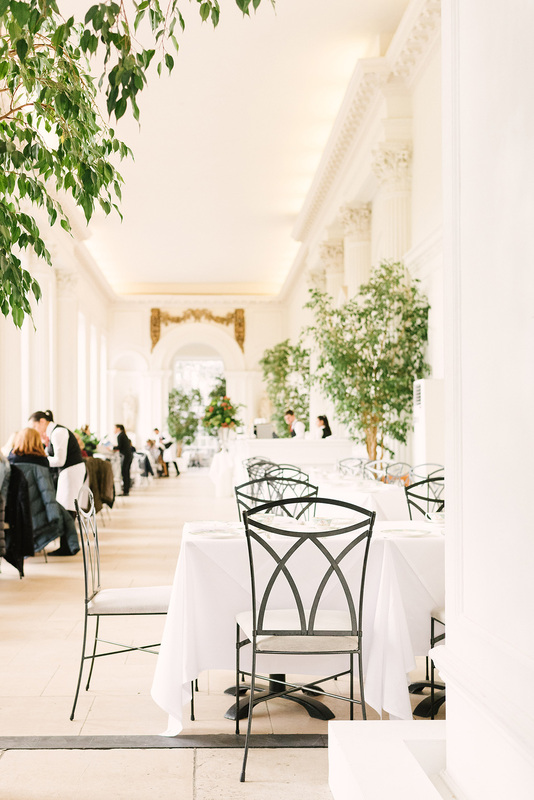 The light-filled Orangery is a real favourite among the B.LOVED team! 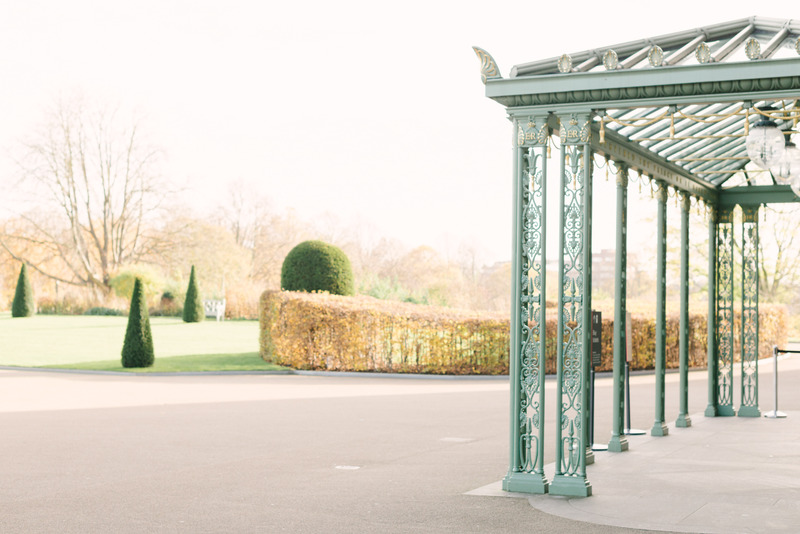 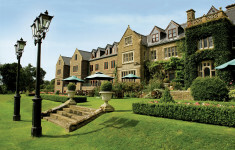 Overlooking the Orangery Lawns and Sunken Garden this is truly the venue for the romantic summer bride. 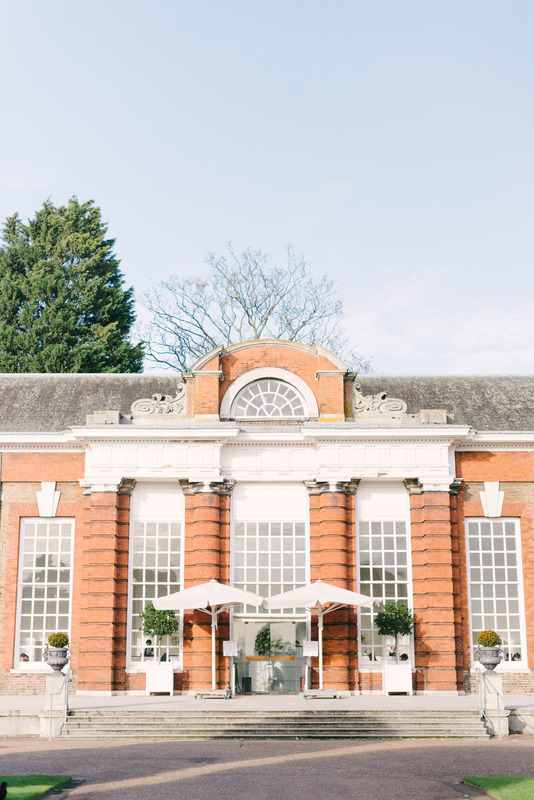 And, unveiling in March 2018 on the Orangery Lawns, is a brand-new glass conservatory – so on trend for the coming year and we can’t wait to hear more about the launch of this space, which we’re tipping to become one of the hottest venues for 2018-19 couples! 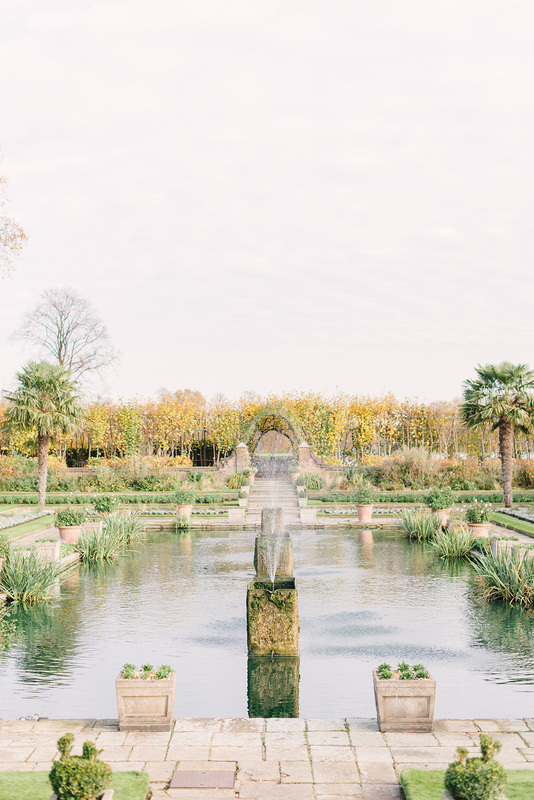 I could totally see a beautiful bride sweeping across the lawns, champagne in hand, chaperoned by her dapper groom. 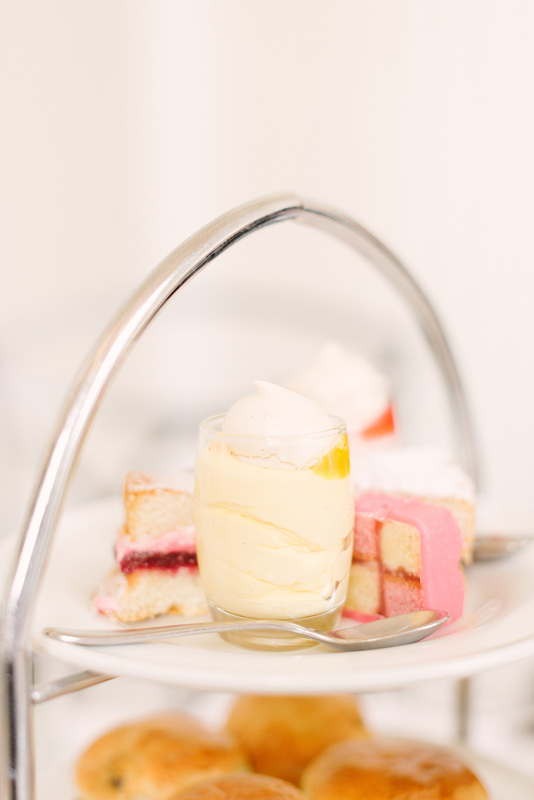 If you’re tempted, go for afternoon tea (huge thanks to the team for treating us to this!) 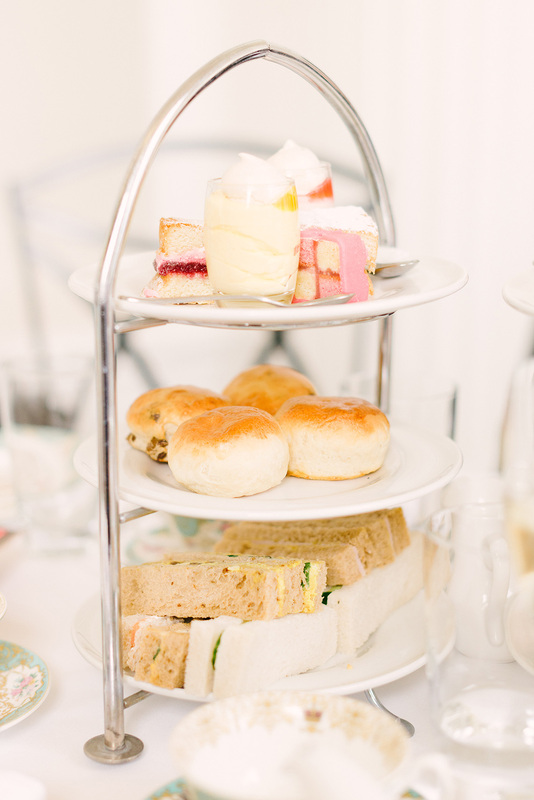 a delicious treat in the most gorgeous of spaces, I promise you’ll be booking your big day before you leave! 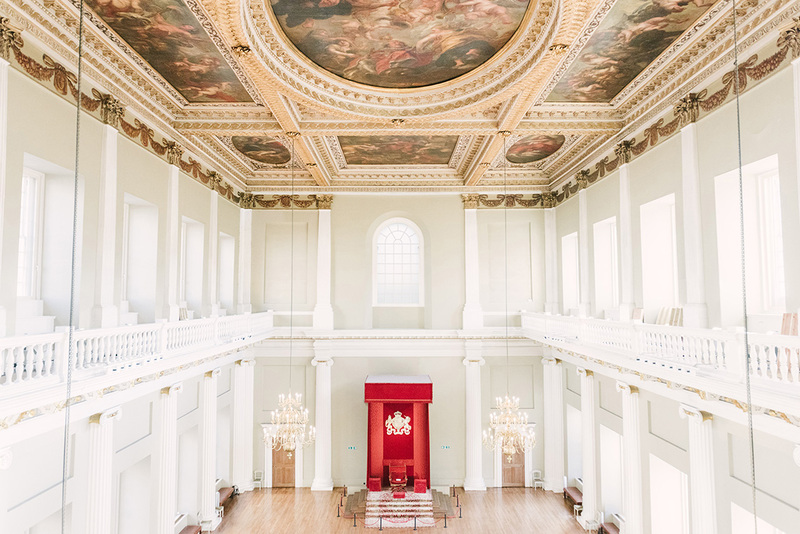 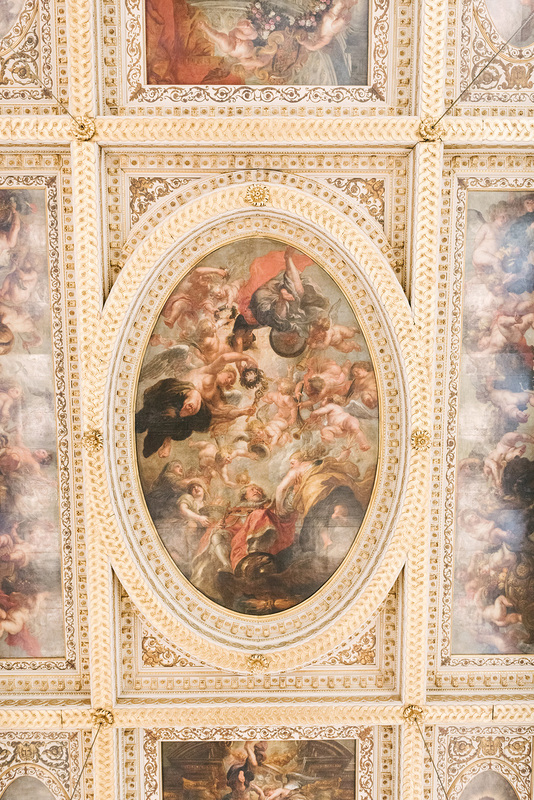 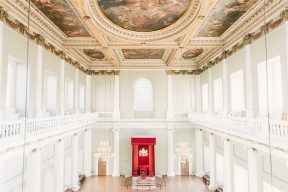 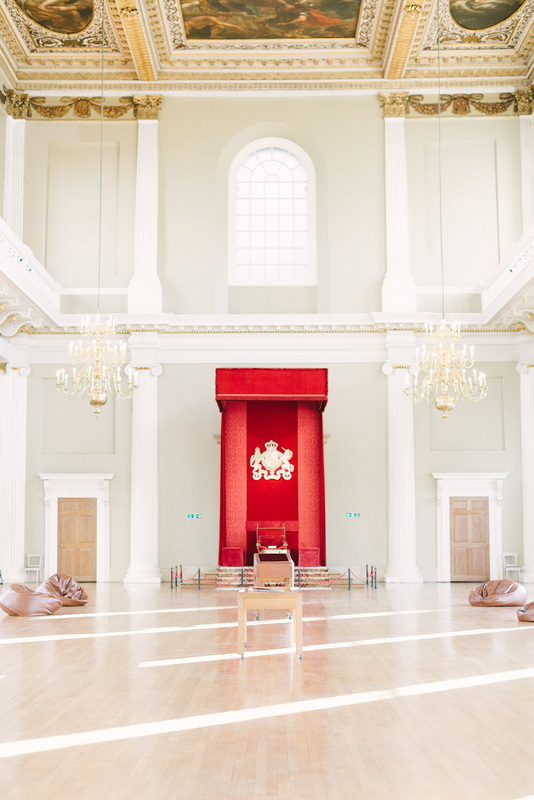 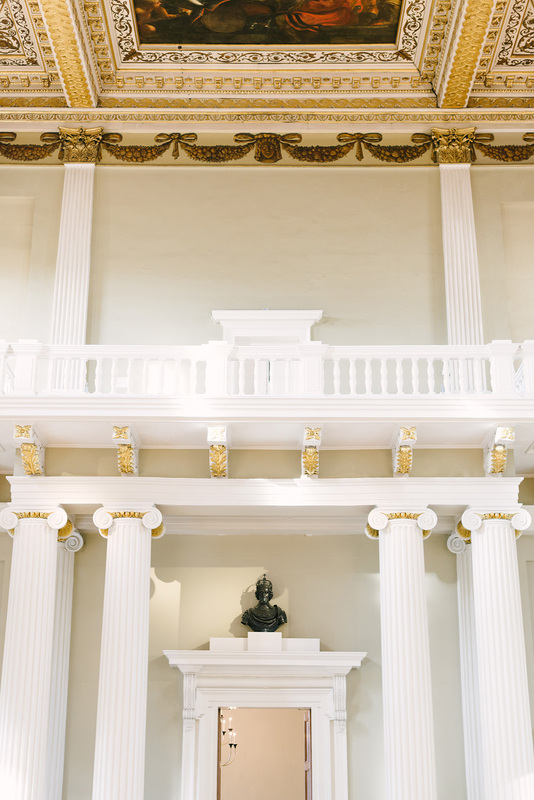 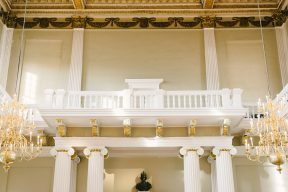 For those with a party spirit, how about the ‘party palace’ aka Banqueting House. 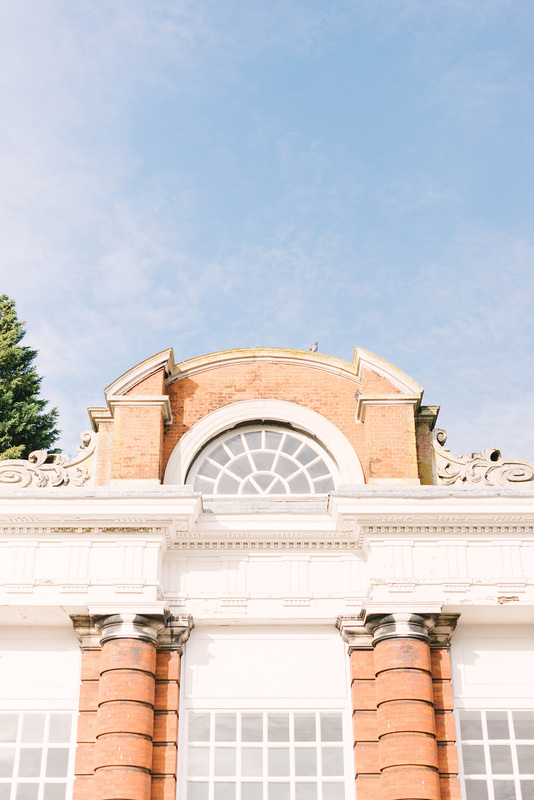 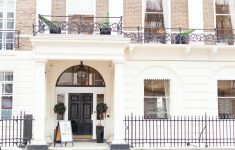 Set on bustling Whitehall, this Italian-inspired venue is perfect for couples embracing the current greenery trend – or daring to do something completely different! 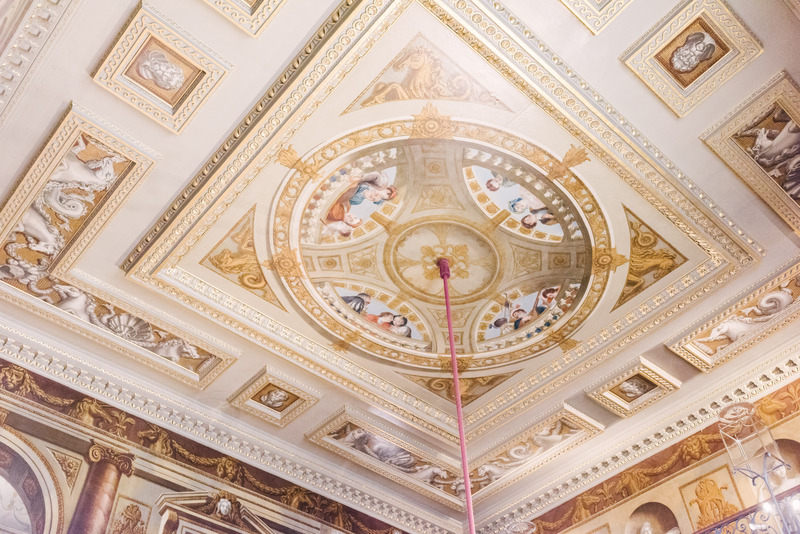 From ceremony in the church-like vaulted undercroft to dinner, drinks and dancing under the incredible Rubens painted ceiling of the Main Hall, this is a venue guaranteed to impress your guests. 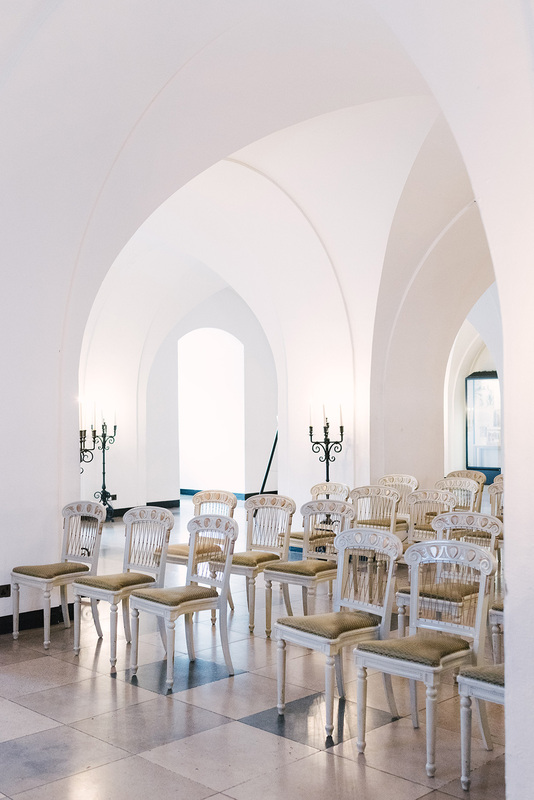 We love the neutral walls and beautiful light flooding the space, as well as the opportunity for the bridal couple to sneak upstairs to the balcony for intimate portraits and a quiet 15 minutes away from the celebrating guests below. 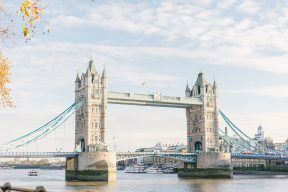 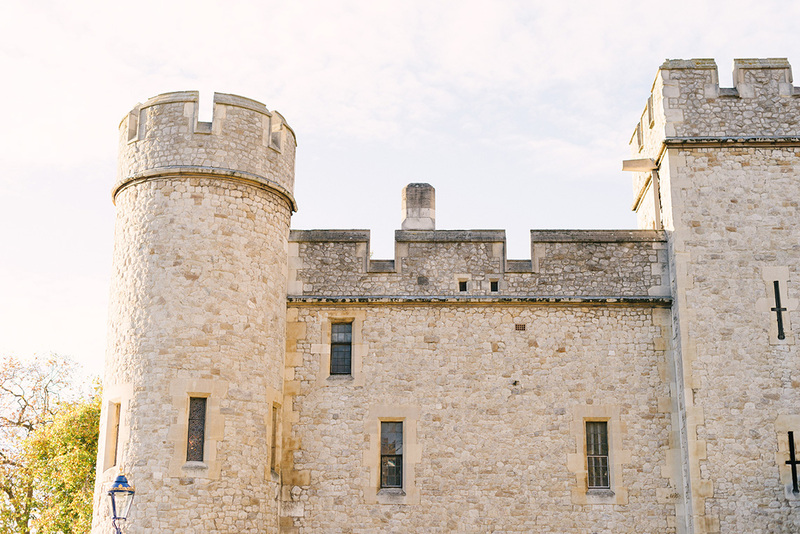 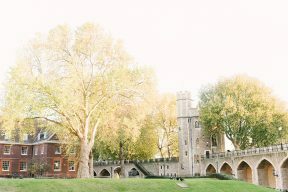 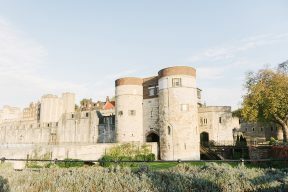 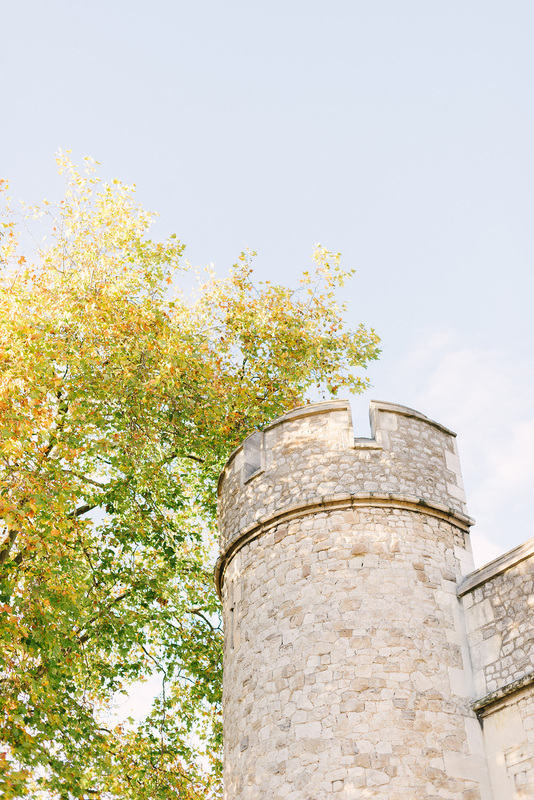 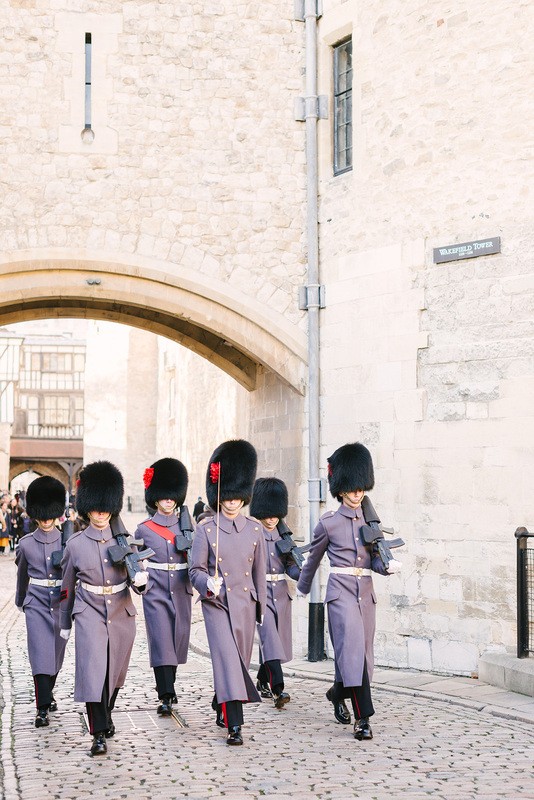 Our final stop is the perfect choice for couples seeking an intimate pre-wedding celebration in surely London’s most iconic venue, the Tower of London. 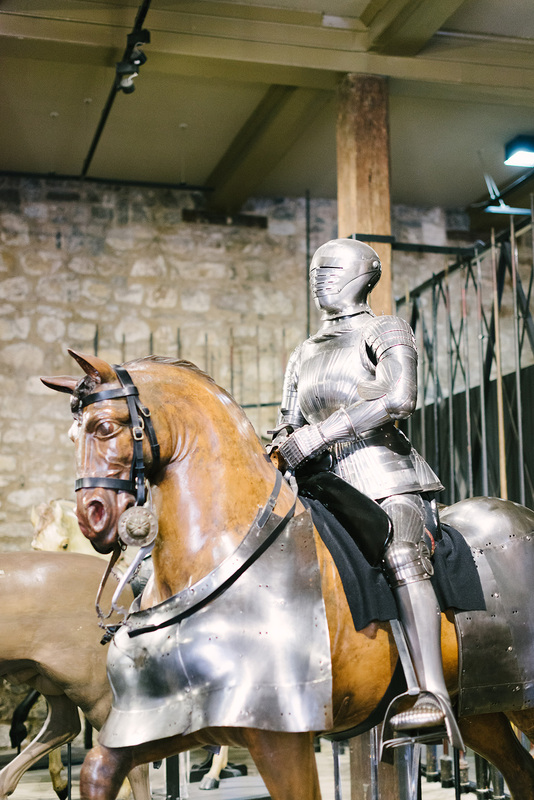 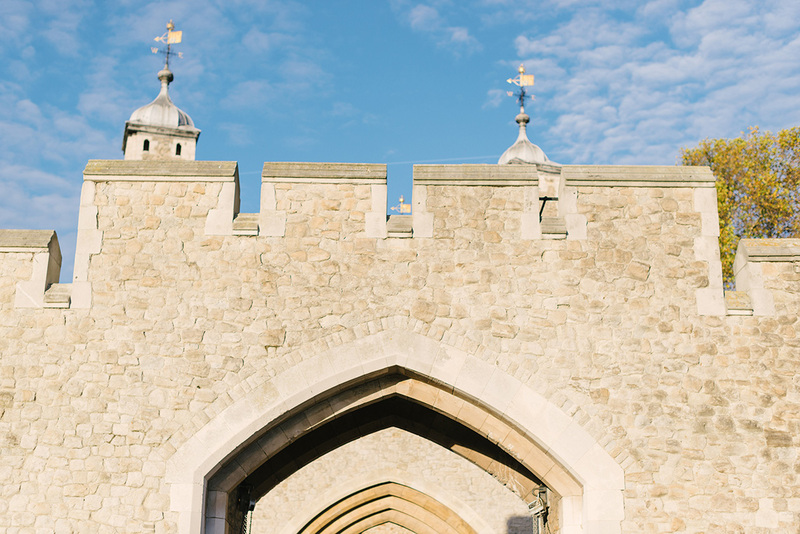 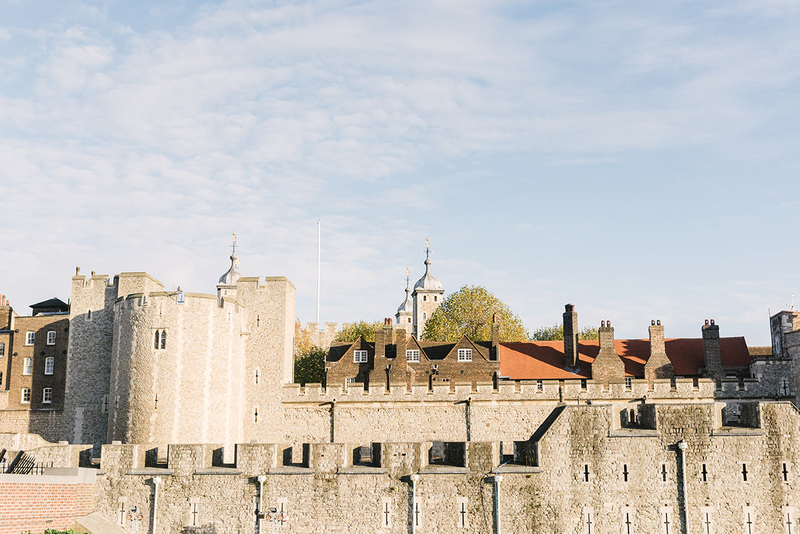 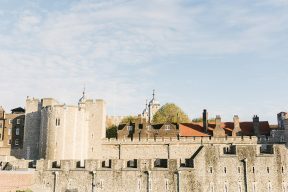 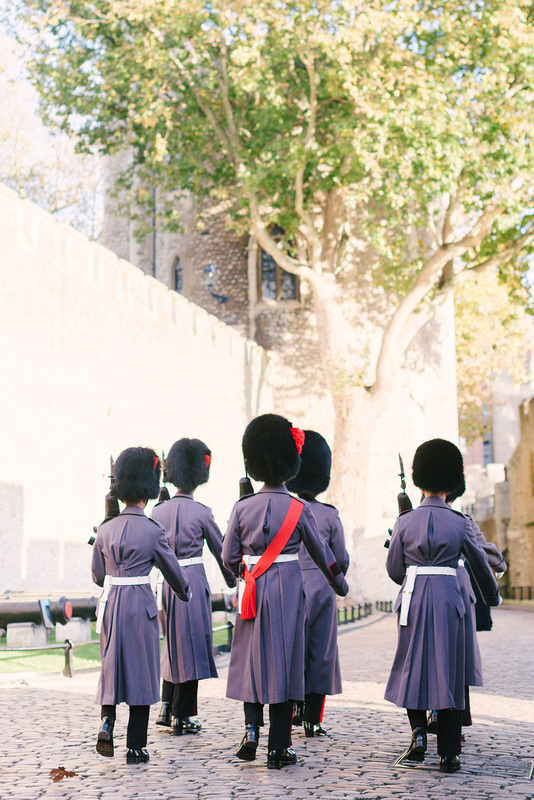 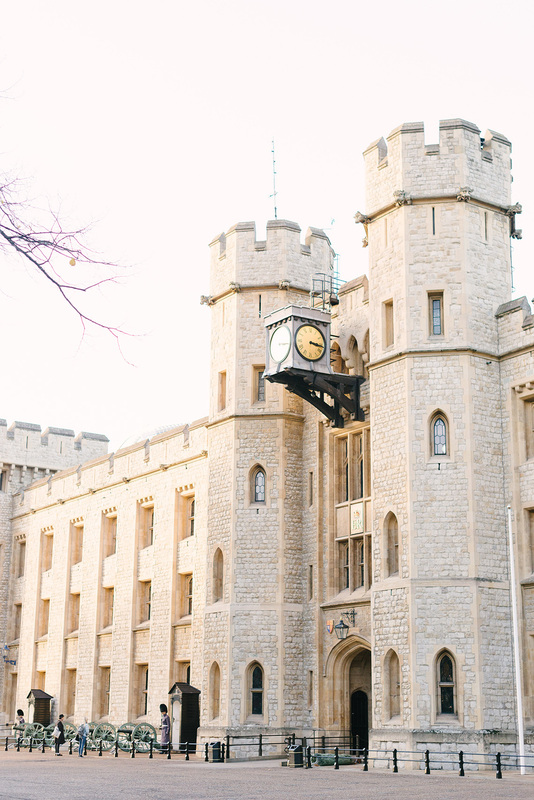 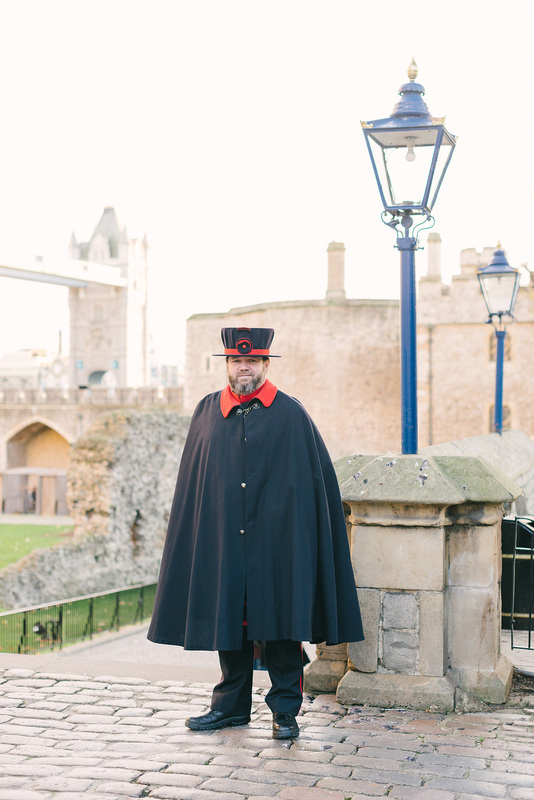 Greeted by Yeoman Warders and entering the Tower via the Middle Drawbridge, guests are treated to a behind the scenes look at the workings of the Tower – and even a private viewing of the Crown Jewels! 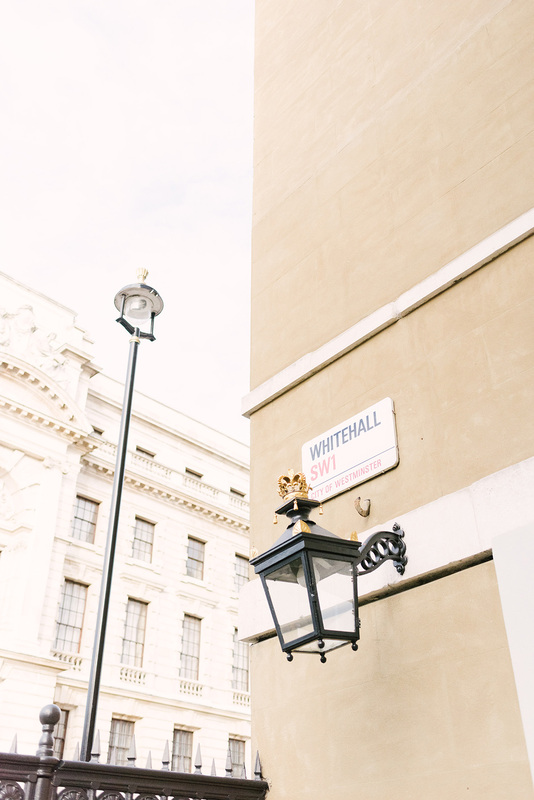 For lovers of sparkle, you can even hold a drinks reception amongst the gems! 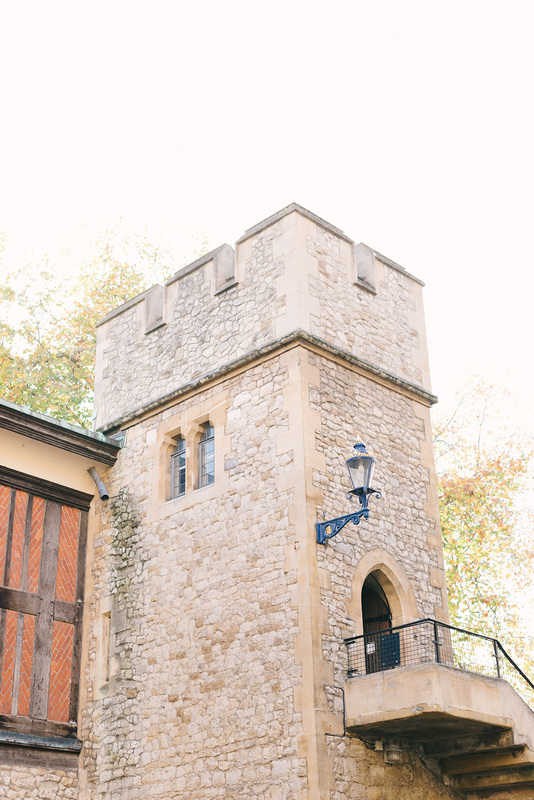 For family gatherings, perhaps a rehearsal dinner or meeting of the parents, seating up to 40 guests Martin Tower is a truly unique choice. 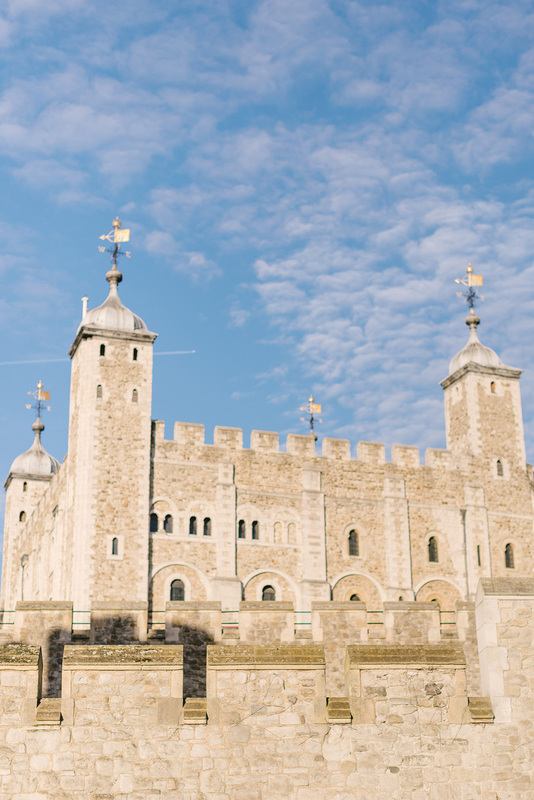 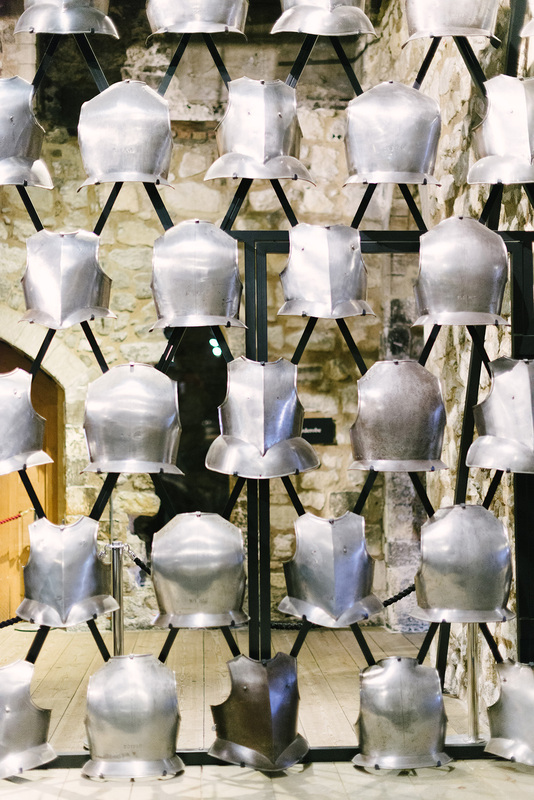 Or for larger parties the incredible exposed-brick walls of the White Tower, dining among armour worn by Kings including Henry VIII and Charles I! 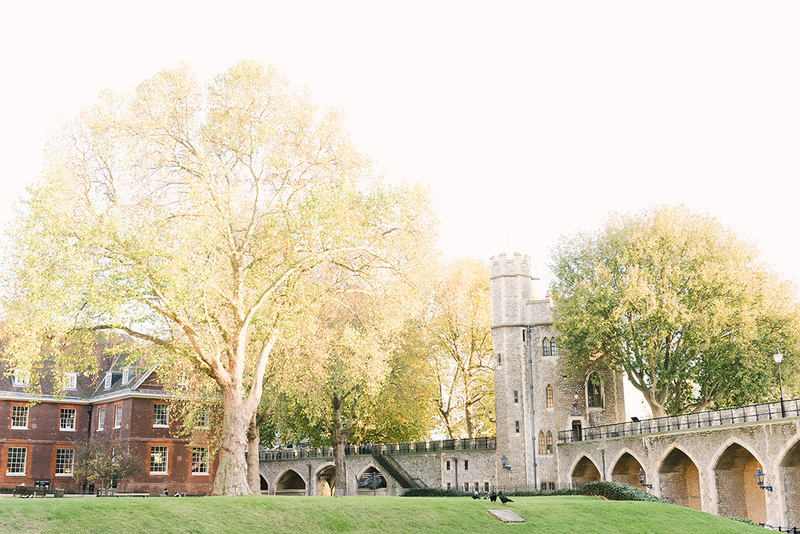 In the summer, informal pre-wedding drinks can be held on the Wall Walks, over-looking Tower Bridge and the River Thames with stunning views over the city. 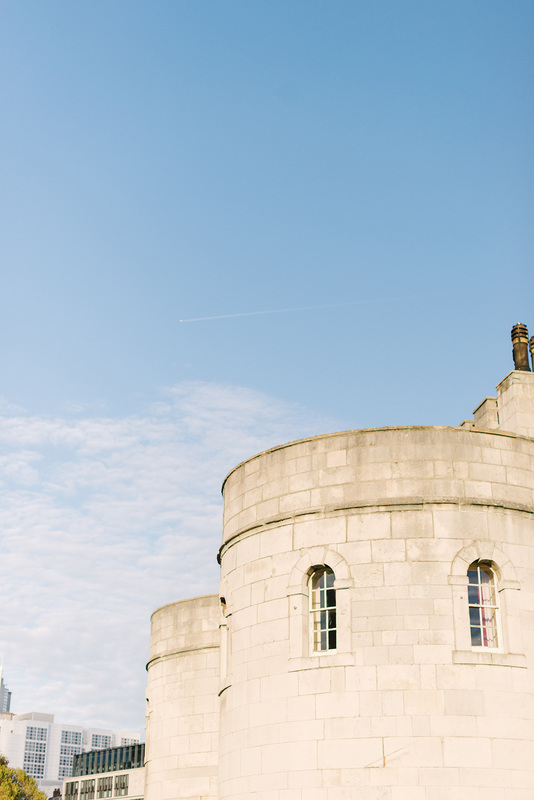 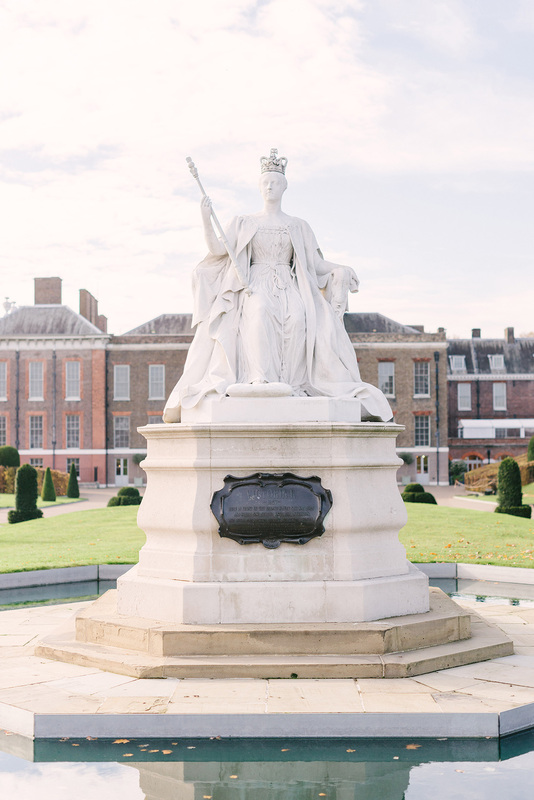 Historic Royal Palaces also host weddings and events at Kew Palace, Hillsborough Castle in Northern Ireland and Hampton Court Palace – where we’ll be attending their exclusive annual showcase later this month. 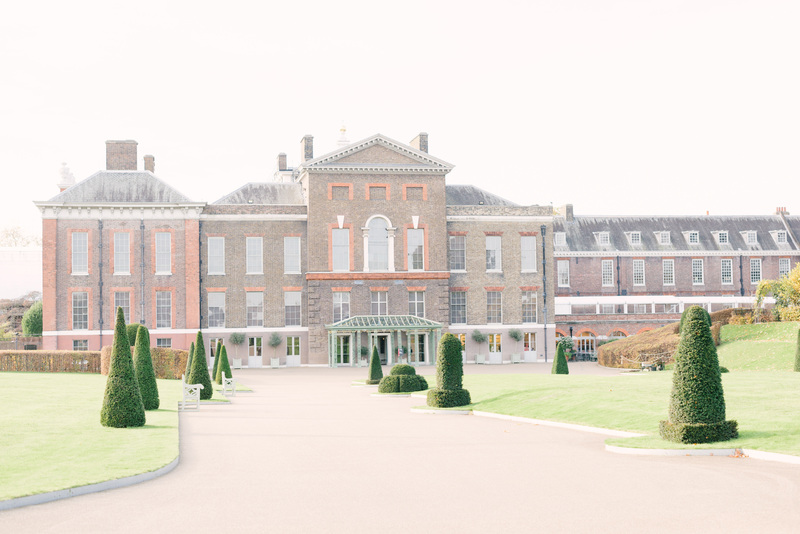 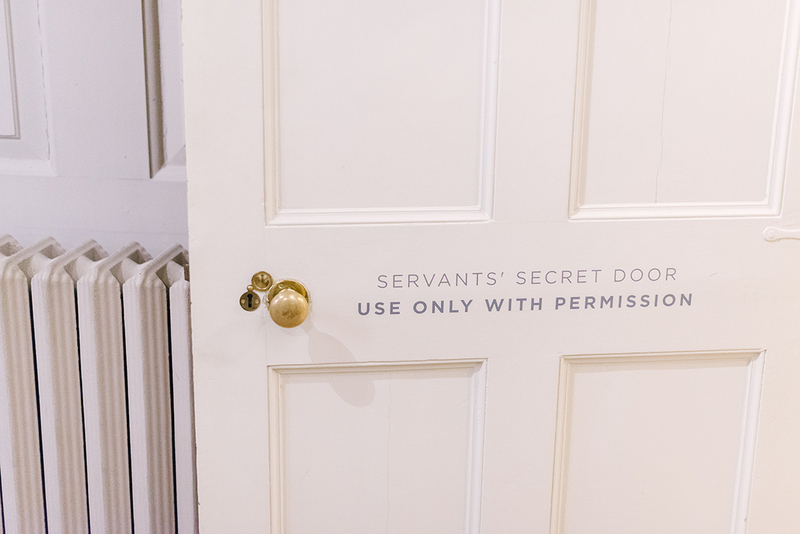 Reporting from behind the scenes throughout the afternoon and bringing you sneak peeks of the incredible event created by the palace’s trusted suppliers we’re excited to share with you some of the freshest inspiration and ideas for hosting your wedding in a Palace. Join us live on Instagram stories on 30th November and follow #HRPweddingshowcase #PickYourPalace#AModernFairyTale #HRPxBLOVED. 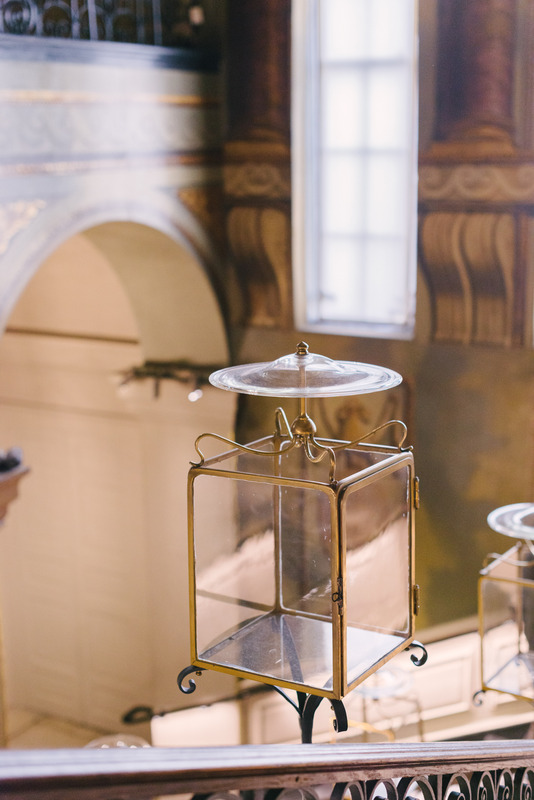 There’s only one question left, which one would you choose?